Production of the Aston Martin DBS 6 cylinder car started in September 1967 with DBS/5001/R and ended in April 1972 with DBS/5829/R even though only 829 examples were ever built. I have been fortunate enough to consult the production records at the Aston Martin Heritage Centre in Gaydon and I worked out that the total production run was of 802 cars after taking into account the following points. - According to the AMOC, DBS/5712/R was destroyed after being used for a crash test. I therefore did not include it. - DBS/5800/R does not appear in the production register which means it was never built. However, I have managed to identify this DBS which still exists so have included it in the figures. 15 examples (according to production records) were originally equipped with AE Brico electronic injection. They are the following: DBSFI/5486/L, DBSFI/5561/R, DBSFI/5576/LC, DBSFI/5592/R, DBSFI/5597/R, DBSFI/5610/R, DBSFI/5616/R, DBSFI/5617/R, DBSFI/5618/R, DBSFI/5619/RC, DBSFI/5620/R, DBSFI/5621/R, DBSFI/5697/R, DBSFI/5748/R, DBSFI/5790/L. 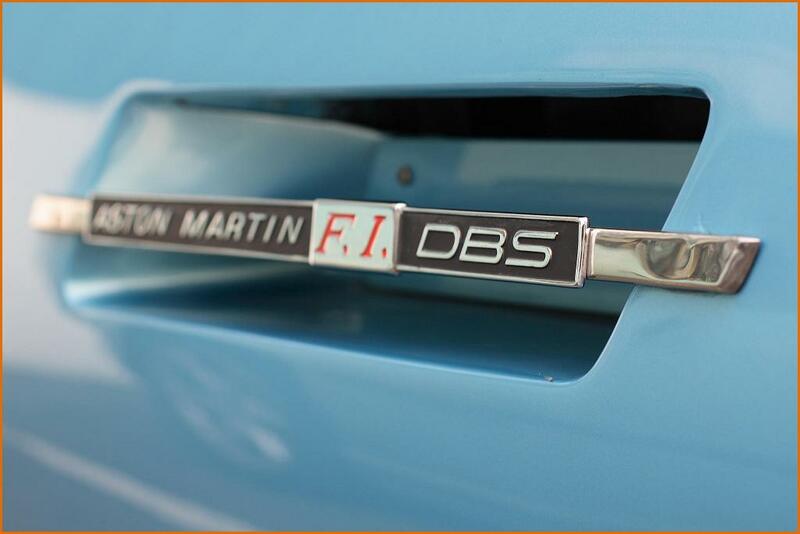 It is possible that other DBS 6 cylinders were also equipped with electronic injection not mentioned in the production records. This could be the case concerning DBS/5577/R, DBS/5626/R et DBS/5736/R, and several other cars. Nota bene : I realise that the 802 production number mentioned above (the result of my study of the factory production register) does not correspondent to the figure given by the AMOC. My aim is obviously not to call into doubt their work. My conclusions are based on a study of the documents to which I had access, and I am of course ready to correct this figure in relation to any complementary elements I may be given and in as a result of the vehicle census I am still undertaking.